It is a broadly described annual report of ICICI Bank in the year of 2005. 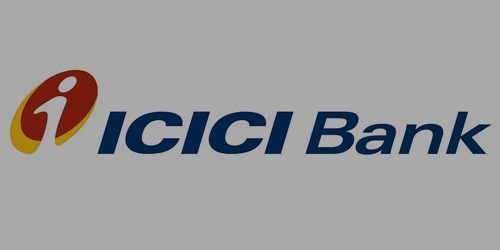 ICICI Bank’s Total assets increased 33.9% to Rs. 1,676.59 billion at 31st March 2005 from Rs. 1,252.29 billion at 31st March 2004 with advances increasing 45.9% to Rs. 914.05 billion and investments increasing 16.2% to Rs. 504.87 billion. During the financial year, ICICI Bank’s core operating profit increased 92.5% to Rs. 22.45 billion in fiscal 2005 from Rs. 11.66 billion in fiscal 2004, due to a 42.9% increase in net interest income to Rs. 28.39 billion and a 78.6% increase in fee income to Rs. 20.98 billion, offset, in part, by a 25.9% increase in operating expenses to Rs. 25.17 billion. The profit before tax increased 32.9% to Rs. 25.27 billion in fiscal 2005 from Rs. 19.02 billion in fiscal 2004. Profit after tax increased 22.5% to Rs. 20.05 billion in fiscal 2005 from Rs. 16.37 billion in fiscal 2004. The Board of Directors has recommended a dividend rate of @75% (Rs. 7.50 per equity share of Rs. 10) for the year 2005 and a special dividend of @10% (Re. 1 per equity share of Rs. 10).